"It's like walking into a crime scene," said Dr. Farrah Kheradmand, professor of medicine and immunology at BCM and a senior author of the report. In their current work, the scientists took cells present in the "crime scene" apart, piece by piece to elucidate what occurred when, and how. "Previously, emphysema was thought to be a non-specific injurious response to long-term smoke exposure," she said. "These studies show for the first time that emphysema is caused by a specific immune response induced by smoke." "It is a combination of little genes affected by an epigenetic factor," she said. Epigenetics are factors that affect the way genes are expressed after DNA forms. 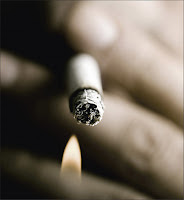 Cigarette smoke is an environmental epigenetic factor. "DNA is written in pen," said Kheradmand, using a metaphor. "Epigenetics is written in pencil. 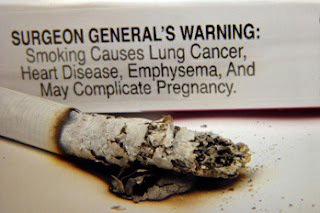 If you have enough genes affected by epigenetic factors strung together, it can tip you over into lung damage and emphysema. The inflammation that drives emphysema could also drive cancer development, a testable hypothesis that we have begun to pursue." For example, the cytokine interleukin-17 was critical. "When we removed IL-17 from the mice, they did not develop emphysema in the same time span," she said. "The number of a type of immune cell – the gamma delta T-cell – would increase dramatically in the crime scene of the lung, she said." "But when we took them out, the inflammation worsened. The gamma delta T-cells went there to dampen the inflammation," she said. "When they become overwhelmed, the disease ensues." Dr. Ming Shan, now a postdoctoral associate in Kheradmand's laboratory, then took the cells out of the lungs of the mice with disease and transferred into mice who had never been exposed to cigarette smoke. After three months, these mice showed inflammatory signs indicating that they were on the way to developing lung damage and emphysema. When they analyzed "gene chips" to screen the disease-causing antigen-presenting cells recovered from lungs with emphysema, they uncovered the gene for osteopontin, which promotes initiation of the inflammatory cascade that damages lungs. Mice that lacked this gene were resistant to emphysema, said Kheradmand.